Click “Become a Club Member” on our buy-coffee page. Then let us know the quantity, the roast & bag size (1 or 5 pound), and how often you want it sent. Your choices are weekly, twice-a-month or once-a-month. 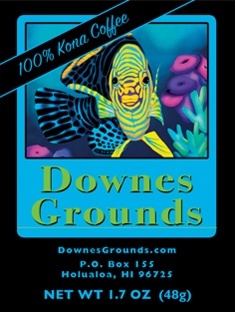 A minimum order of 1 pounds per month is required for club membership. Once we recieve your order (and beginning immediately) we will automatically send you coffee at the interval you requested. We keep track of your shipping dates and quantities. We give you a free pound for every 10th pound purchased. We place your credit card information on file and automatically charge it each time we send your order. We will contact you should your credit card expire. You may cancel at any time. Send us an e-mail letting us know of your desire to cancel and we'll terminate your membership immediately. From time to time our shipping fees may increase. At that time we will inform you of the new shipping fee. We do not mark-up shipping & make every effort to keep the shipping fee minimal. Our dark Roast coffee is a medium-dark roast. Carefully not over roasted to keep all that great "Kona Flavor!" Full body with a bit of roasted flavor and rich aromas. The darker roast brings the oils of the beans out to the surface so they are shiny and oily in appearance. Our Dark Roast coffee has low acidity and no bitterness. It has less caffeine than our Full City Roast. A true Kona Medium Roast. Lightly roasted to taste the complexities of our coffee! We want you to taste, smell and enjoy our high quality, high altitude Kona Coffee. Our Medium Roast is extremely smooth and flavorful, and finishes clean. A delightful way to start the day. Quiet & comfortable, it's time for the ultimate coffee experience. 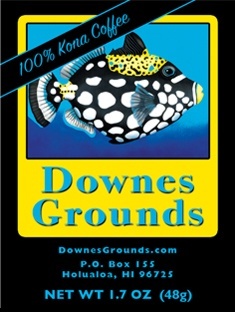 Have a cup of our 100% Kona Peaberry. Gleaned as only 4% of the total harvest, it is prized for its intense, robust, essence of coffee flavor presented in an extremely soft, smooth bouquet. You may be spoiled Forever!! We will ship your order within 3 business day of receiving it. Unless you make arrangements with us to the contrary, we will ship your order via USPS Priority-Air (United States Postal Service). Door-to-door service from the day we ship your order is ±2 to 5 days for all 50 United States. Our shopping cart software automatically calculates the shipping cost for you. Shipments to Canada & Foreign Countries shall also be USPS Air, however it will take longer since your package must pass through Customs. The State of Hawaii levies a % Gross Excise Tax on merchandise (including shipping) delivered to purchasers within the State of Hawaii. It is waived for purchasers outside the State of Hawaii. During the submission of your order, on our checkout stand, we will ask you what type of coffee you would like for your free pound.